"To the tourist and museum railroad network -- due to unfortunate and sudden unforeseen logistical challenges beyond our control with our storage tracks in Cañon City [Colorado], we must immediately divest ourselves of this 1939 built ex Southern Pacific NW-2 by the end of the year or it will likely go to scrap. It goes to the first organization that can remove it by December 31st!" Via the RGRR's own roster: frame number E-395-08, EMD b/n 1360, Jul 1941; Built as SP 1911, Jul-1941; later SP 1317; To Chrome Crankshaft 9-Aug-1973; To Ideal Cement 1, Dec-1973, to Royal Gorge ca. 2000. I haven't seen the FB post in question, but it is probably legitimate. My understanding is that Rich Millard, the former Chief Conductor in Durango, is now Assistant GM at the Royal Gorge. A whole month! Wow why so generous with the lead time? I saw this locomotive back in 2015. Did not know it was owned by the Royal Gorge (makes sense now). Does anyone know when this unit was last operated? And what is the issue with the storage tracks in Cañon City? The words "unexpected" and "urgent" caught my eye. Might be another eviction from unowned property. I will volunteer to help prep and load if necessary. Is there any nearby site to which the locomotive could be moved in the short term? Pueblo is close by, by the standard of closeness in the area. seems it has found a home and may no longer be available, a month was plenty of time wasn't it. Last edited by car57 on Sat Dec 02, 2017 12:29 pm, edited 1 time in total. "It has found a home and is no longer available, a month was plenty of time wasn't it." Just heard from a reliable source that the NW2 is no longer endangered; it has been donated to a museum in AZ and will be moved prior to the end of December. As speculated above, it turns out that the CC&RG was storing this and other pieces on leased trackage, and the lease runs out 12/31/17 and will not be renewed. The property owner has other plans for the real estate, and only notified the railroad about 10 days before now. Thus the unexpected, unanticipated, urgent part of the OP. Not specified, but they plan to restore it as the SP unit it once was. I want to add that the movement of this item to it's new home began with this original post on RYPN. This forum has again proved to be a valuable asset to the preservation field. I don't have it from the "horse's mouth," but I'm 98% certain this loco is now en route to the now-abuilding (in structure and collections) Arizona State Railroad Museum at Williams, Arizona. 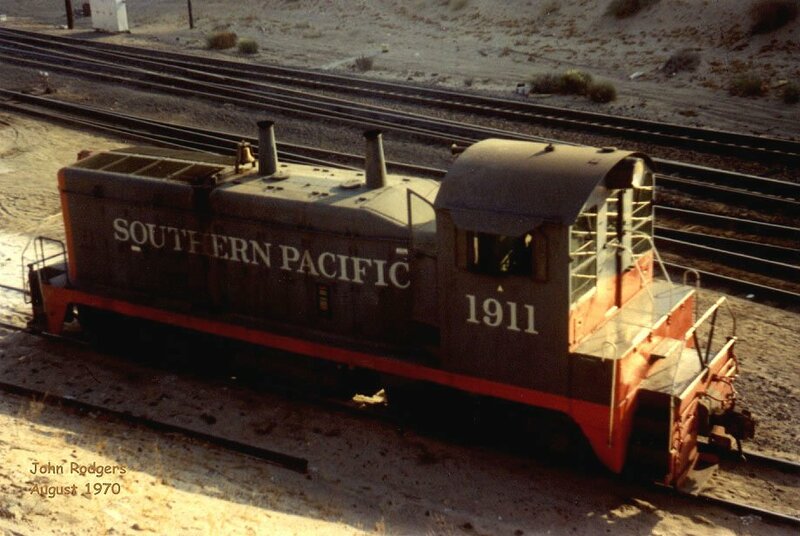 This collection already includes an E60C (Black Mesa & Lake Powell), a Shay (Arizona had logging railroads, after all), a Santa Fe chop-nose GP7, and more. The addition of the SP switcher diversifies their collection even more. 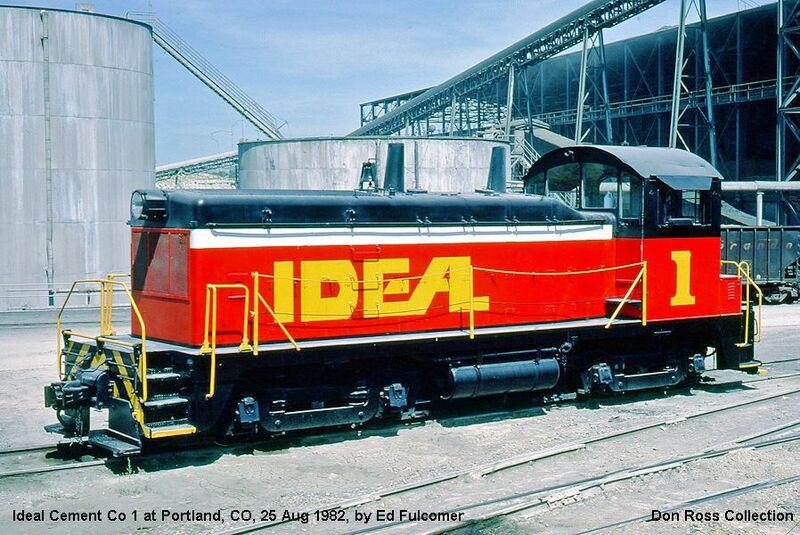 I wonder if there's still another Santa Fe diesel to spare at Sacramento?